AMCO Jeans is an obscure brand for most kids of today, particularly Asians, but if they happen to have older relatives, or even immediate older family members, they would vaguely remember a brand that existed to promote its creative designs a little after World War II ended. It was first registered in Australia in 1948. At that time the product was primarily work wear oriented, but by the 1950’s denim was fast becoming a symbol of the new rebellious youth culture and it was a natural progression for AMCO to follow the emerging trend. The AMCO jeans brand was ultimately established in 1957, and it achieved legendary status by the 1970’s. It was one of the original (if not the first) authentically Australian fashion jeans brands, and has made a significant contribution to the rich and diverse Australian jeans culture for more than 50 years. And even though the AMCO brand has been taken on a number of journeys and in various directions over its many years of operation, its origins and authenticity has never been overshadowed, and the true jeans wear image remains. Currently, AMCO jeans are featured in the Sydney Power House Museum, and the brand is recognized as a genuine Australian icon. AMCO has long produced quality traditional jeans, and has an enviable reputation for meeting the ongoing market demands for shape, fit and finish. Funny, the shape … because it reminded of their cheesy, sexually injected ad. Ah, the Faded Glory of the 70s. Previously, a post on Lea Jeans appeared here to honor the Forgotten Brands of the past which I’ve rediscovered in Indonesia, and I had set out to finding Amco Jeans stores in Jakarta. According to my hard-target research, which involved Googling the word AMCO, the store is located in another forgotten mall in the southern part of Jakarta, which is Blok M Plaza. From the little that I remember of the mall, oh wait, there’s nothing I remember about that mall. AMCO brand is now redefining its successful heritage with a number of significant initiatives. The release of the modern retro S-57 classic straight leg jean, the relaunch of AMCO Peaches, the introduction of AMCO Littlies and the reinvention and launch of AMCO Workwear. As a result the brand is experiencing a genuine resurgence of consumer interest. I honestly do not know when the reinvention happened and who the consumers are that are having a resurgence of interest in the brand. Certainly not my 20-year old girls at the office who wouldn’t be caught dead wearing an AMCO … nor visit the Blok M Plaza mall. But having a late affair with the brands of the past has allowed me to appreciate what they have done, the lives they’ve lived, the times they’ve shared — globally — long before the word globalization became hip. They shared such changing times that redefined their generation, acted upon it, and made it acceptable according their terms. Which is perhaps why I’m drawn to these brands that speak of such past. So you can imagine my surprise when I found AMCO jeans in a stall in LOTUS. Ok, never mind what my 20 year old girls at the office would think both of the brand and the mall, but at least it was well within my reach. I got a pair of jeans for Rp 328,900 (US$ 34.10) and a shirt for Rp 118,800 (US$ 12.45). You can say that it’s my US$ 46.65 outfit, and although it’s no Hermes, it’s nonetheless quite expensive … assuming this was 1950. The cost $47 in 1950 would be $451.29 in 2012. Yes, I am that smart. Thanks to the inflation calculator, of course. EVERY AMCO TELLS A STORY. Posted on October 26, 2012, in General and tagged Amco, australia jeans, every amco has a story, sydney powerhouse museum. Bookmark the permalink. 22 Comments. 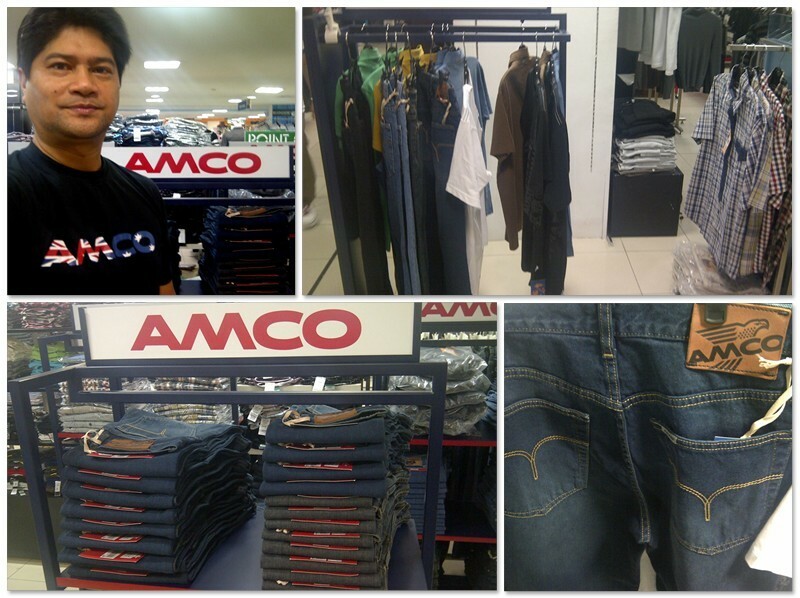 Do you have any outlet here in the Manila, Philippines where I can buy a pair of amco jeans. I used to have one in 1984 and it was the last one I had wear. Hi Louie, I’m not part of AMCO nor am I selling it, but was quite pleased to see it being sold in Jakarta and decided to get a pair for old time’s sake. Thanks! I owned several pairs of Amco jeans during the 1970’s and 80’s, including a couple of pairs with flares. They were always my favorite jeans and I wish I still had them. Anyway, please find below two weblinks to videos that I found on youtube that will take you to two famous Amco jeans commercials from the early 1980’s. They were both released at the same time in February 1981 and played for many years afterwards and are still remembered to this day as Amco’s jeans two best remembered and most loved commercials. I suspect that they inspired many Australians to travel to faraway lands and experience different cultures. AMCO was re-launched its brand jeans with a very famous ad song “Every AMCO Tells a story”. This reinforces the position of AMCO as the most popular jeans brand in Australia. AMCO jeans designs follow the contemporary fashion trends and changes not only in style but also the materials used. Popular model is a straight-cut jeans with wide pipe natural and colored denim. In subsequent years, turned into acid washed jeans, stone washed, distressed (ripped jeans with accent), bleached (jeans are experiencing bleaching process) and patched (jeans with patches accent). These jeans are made by AMCO was established in the United States in the 1960s. 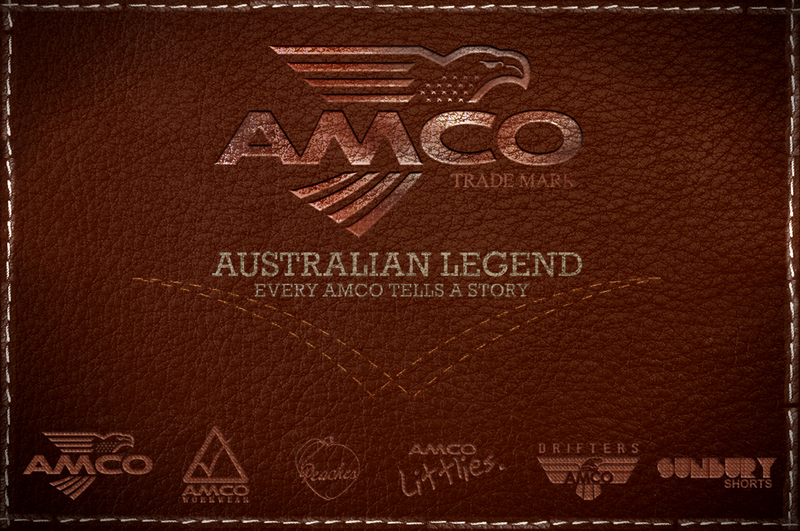 AMCO popularity among lovers of jeans in Australia makes AMCO legendary brands in the kangaroo country. AMCO was bought by Wrangler in 1979 and later sold to the Hartman Group. AMCO Ownership changed again in the 1980s, when Myer Grace Bros gave and market under their label. In this 1980 AMCO become an international brand, and position themselves to follow the trend of backpackers in Australia. In the same year (1980) PT. LEA SANENT bought licensing rights to AMCO product, and with proper preparation, is now in the year 2011 PT. LEA SANENT ready market and enliven the jeans market in Indonesia with AMCO products are of high quality. AMCO present to provide an option for users of jeans in Indonesia with the main target men, who remain young at heart and want to look stylish while still prioritizing comfort through quality products. AMCO provides choice of dress from top to bottom for the overall style of the wearer. AMCO products reflect the style of a grown man with a pair of basic 5 pockets and a basic wash is simple and convenient. 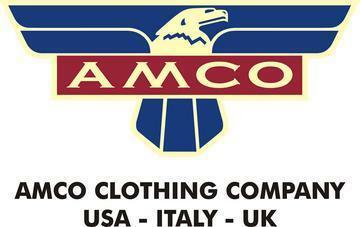 In addition to pants, AMCO also provides T-shirts, Polo shirts, shirts, shorts and jackets. I worked at Amco jeans at Head office Yennora and in Darlinghurst sales office from 1970 to 1974. A family owned company then, owned by the Vincent family, the patriarch being George a wonderful gentlemen, who started the company making butchers aprons. His son was the Managing director in my day , Cliff Vincent a fashion celebrity and man about town, who had a big interest not only in the company and fashion, but in quarter horse racing. Cliff was often overseas researching fashion trends so as to keep the Company at the forefront of the next trend. The National sales manager being Ernie Gould, and guys like Patrick Percey and Greggo , Miller, all great folk, and some absolutely wonderful ladies. Do you remember a Geoffrey Benson working for AMCO? Was he part of management or an owner or partner? Such excellent words Jude…. George was my grandfather….. What a tight, great family business it was. Harris Scarfe are now selling Amco Jeans, I just bought 2 pairs of my old favourite Bull Denims here in Brisbane. I worked for AMCO as A machinest from 1970 till I had my first baby in 75′ the best years of my life,Parties yes jude the best christmas parties,remember the names I do remamber Bill Callaway as my last boss OH the memories. My next door neighbour Peggy & ??? started Amco when I was still at school. model agency. Only a small cul de sac but my Dad ran K-Tel and majestic records. Fond memories of that ira. AMCO wasn’t started by someone called Peggy – it was started by Cliff Vincent. It was originally called Amy and Co. Then shortened to AMCO. Amy was my grandmother. Cliff my grandfather. My grandfather was a cutter. Had his company in 1944, originally making King G’s. Then cut the first jeans here in Sydney – in their factory out the back in Yenora. Amy had a beautiful voice…. I still have my grandfathers desk…. heavy as a car!! SELINA…I am your mother,, Barbara’s oldest cousin, Helen.. I well remember AMCO, your grandfather, Cliff and your mother (I think0 Barbara. I used to work for Amco in their head office in Sydney – was such a great place to work and getting to wear jeans to work (and free jeans) was a bonus. I have a lot of fond memories of that time and most of the people I worked with. It had a great vibe. Then unfortunately the Australian company was sold off to an American Company and there began the beginning of the end for the label. Feeling very nostalgic at this time. I had the great joy of being the state manager for South Australia and Northern Territory for AMCO Jeans between 1974 and 1981. Together with Jeff Roberts and Rod Chadwick, we built the brand with great enthusiasm and pride. These were the best years of my working life and it was a great Company to work for. Ernie Gould was a great leader.